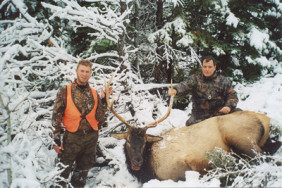 We offer many Montana elk hunting options: archery elk hunting, elk hunting in the Bob Marshall Wilderness, combination guided elk hunts with mule deer, whitetail and bear. All of our Montana elk hunts require more or less rigor and we offer elk hunting in three distinct seasons. 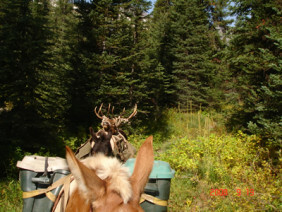 Our season starts with archery elk hunting. 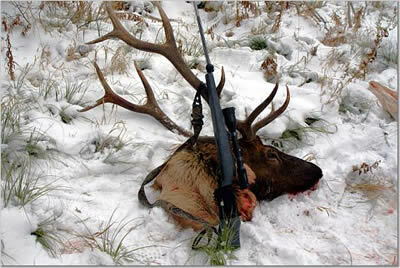 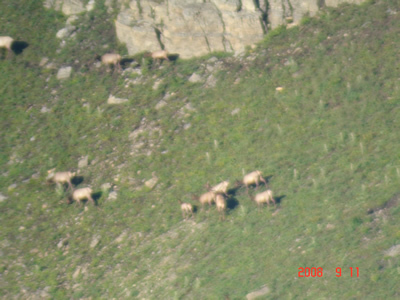 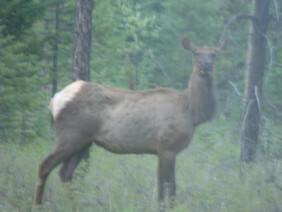 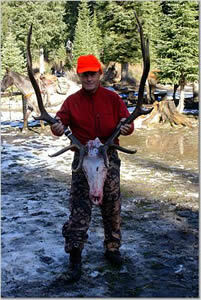 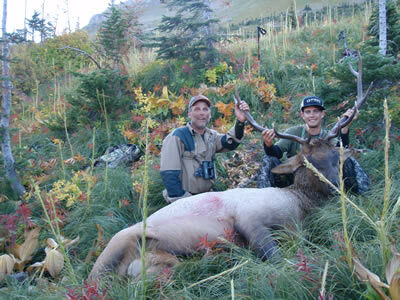 We then offer rifle elk hunts in the Bob Marshall Wilderness. Elk hunting in the wilderness is special as the Bob Marshall is one of the few areas in the country where you can rifle hunt elk during the rut or bugle. 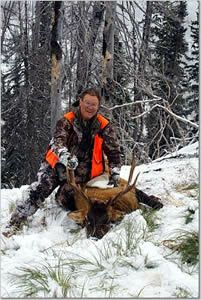 Our last hunting season is during the general Montana hunting season. 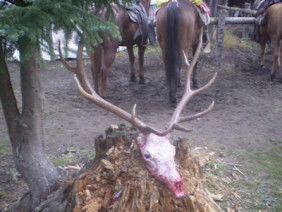 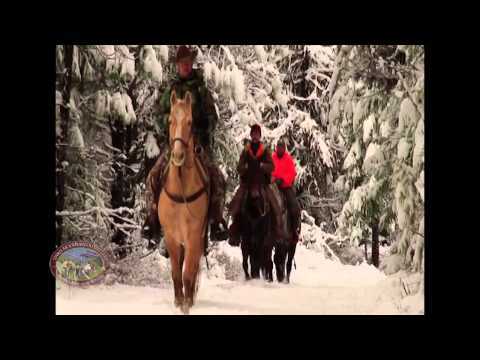 We offer combination elk, mule deer or whitetail hunts off of horseback out of our lower camp in the Swan Valley. 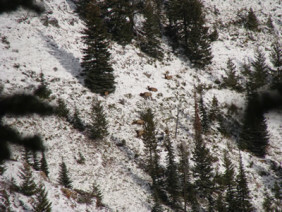 With exclusive access in the areas where we hunt, Swan Mountain Outfitters is able to offer archer elk hunters perhaps one of the most unique and best opportunities to bag an elk of a lifetime. Our archery elk hunting areas are so remote that in some cases it takes us nearly two days to get there and is home to many distinct elk herds. 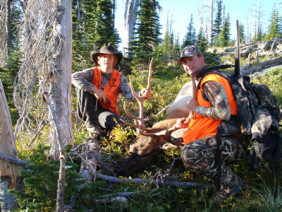 We have experimented with various styles of guided archery elk hunts and we believe we have landed upon an offering that delivers the ultimate archery elk hunting experience in Montana. Archery hunting elk, requiring close proximity to the animal, is, by its very nature, quite different from hunting these animals using a rifle. 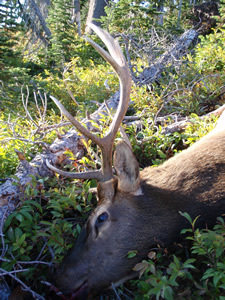 Archery hunts necessitate minimizing over exposure of hunting areas as well as using outstanding calling abilities and guides who know the difference between techniques utilized for archery versus rifle hunts. For these reasons Swan Mountain Outfitters takes only two hunters to each of our areas on our archery elk hunts in any of our “archery only” designated areas for three 7-day sessions. 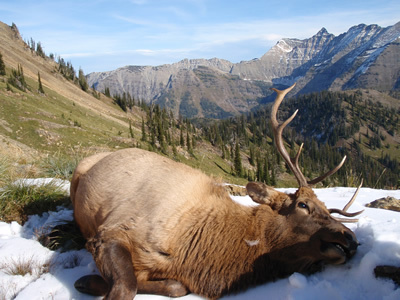 Even though the season is longer, we focus soley on the time frame before, during and after the rut to maximize our opportunity. 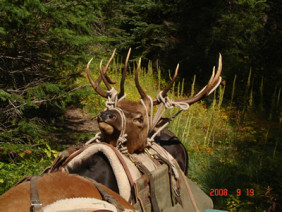 Our archery elk hunters will actually hunt 5 days, with the rest of the time spent getting to and from the area. 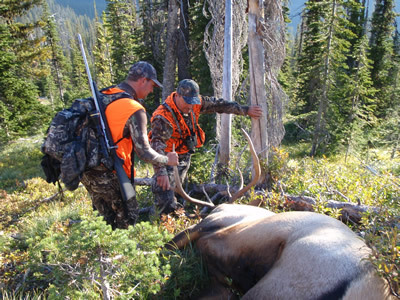 We employ two-on-one guiding as we have found it is the best way to maximize our hunters opportunities to be successful. What makes an archery elk hunt truly successful is the hunting skill of the guide. 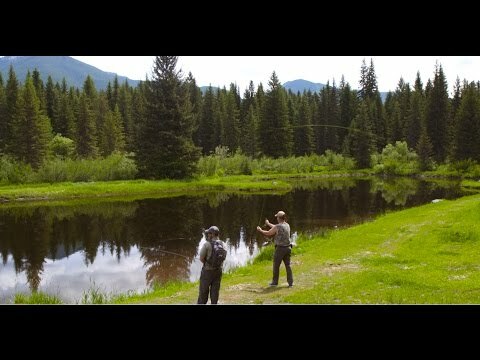 We have perhaps some of the top guides in the country as we operate a guide school and therefore had the opportunity to hand select and train our staff. Most of our archery elk guides have been hunting with bows for years. 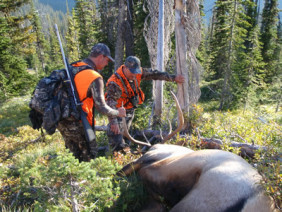 We utilize a spike camp, and are so finicky about scent control and noise that we don’t burn fires or have the comforts of our typical hunting camps – its all about getting archers their elk. But make no mistake about it, these are mountain based hunts and very physically demanding. Our archery elk hunts are the first to book up, and we typically have been booked two years in advance, so don’t wait! 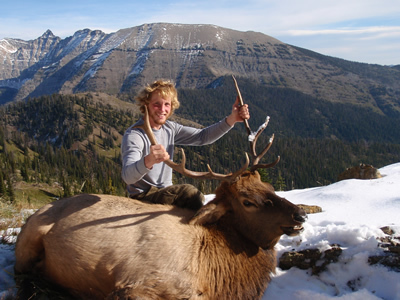 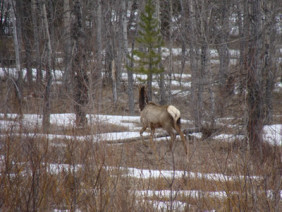 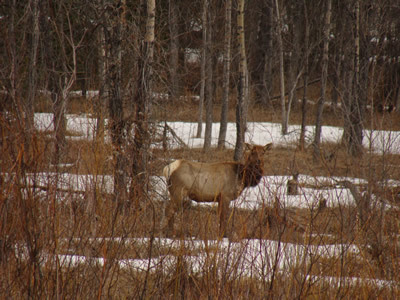 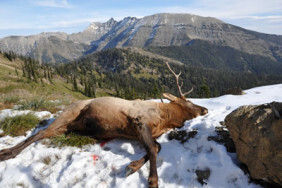 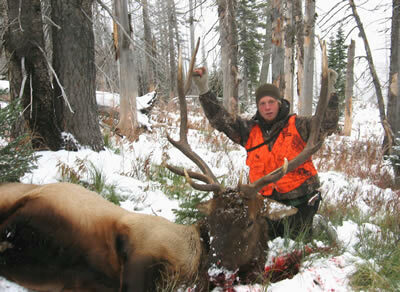 Our back country or wilderness elk hunts are guided elk hunts into the Bob Marshall Wilderness. 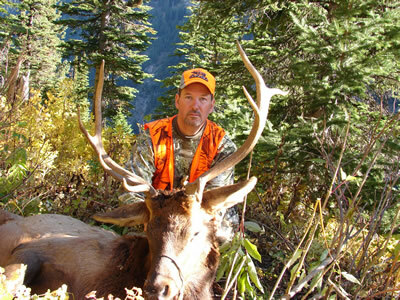 These are among the most rugged Montana elk hunts, and we often describe them as extreme hunts or the ultimate free chase elk hunt. 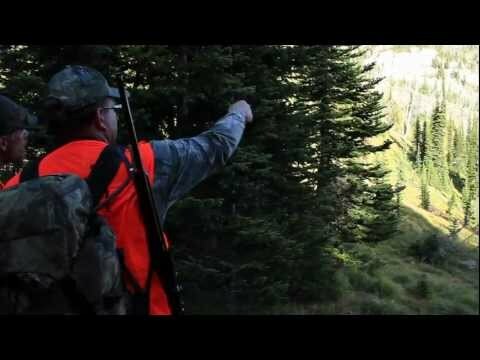 Elk hunters are treated to waking up to the sound of bugling. 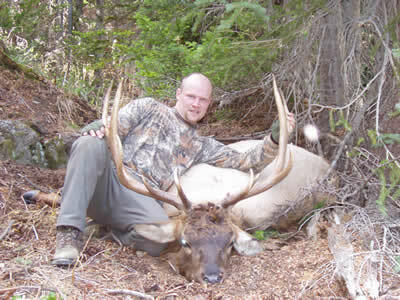 Montana wilderness elk hunts are operated in earlier hunting seasons, so we are able to offer a rifle hunt for elk during the rut. Many of our elk hunters also bring a bow so they can archery elk hunt in the surrounding area. 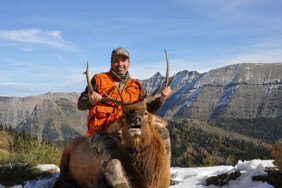 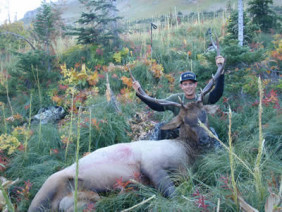 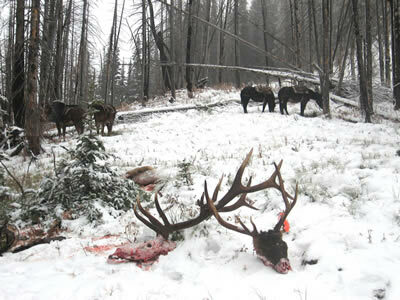 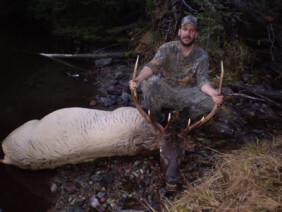 Multi weapon hunts are popular with elk hunters that like to maximize their opportunity. 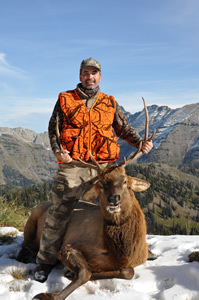 There are opportunities for mule deer and black bear in combination with the elk hunts.